Sally Thorne, Head of History at Colston’s Girls’ School in Bristol, shares her simple idea for demonstrating the importance of contextual knowledge when assessing a source. 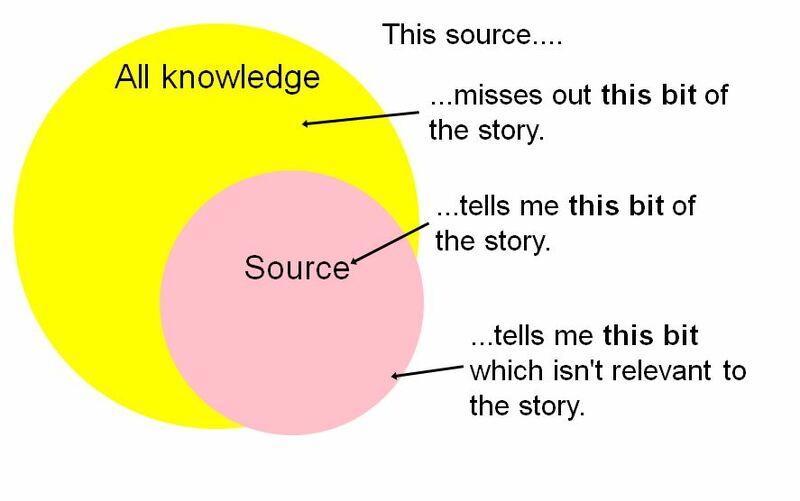 My focus for the year was thinking about how to assist students to start recognising sources as evidence, rather than just pillaging them for their information. 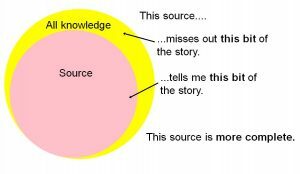 Struggling to explain the year 8 how important it was to ‘test’ the sources they had by comparing them to their own knowledge, I groped around for a graphic representation of what I was saying and came up with this. 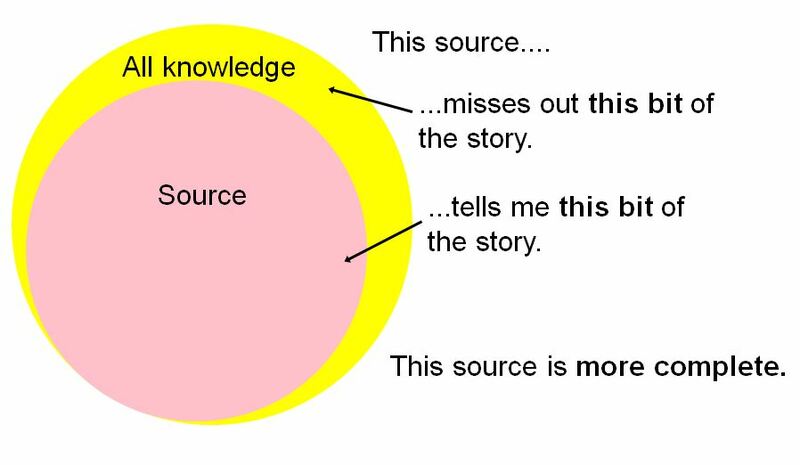 This seemed to work to demonstrate that there might well be information missing from the source and allowed me to segue nicely into a conversation about why that information might be missing, what it could tell us about the creation of the source and how this might contribute to its utility. 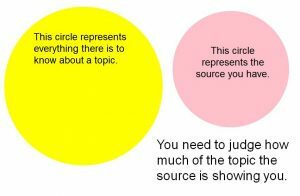 To get students really using their contextual knowledge, I borrowed an activity from my colleague, Sarah Hartsmith, who now teaches at St Augustine’s school in Trowbridge. Using a Simplicissimus source of Stresemann as an angel, walking Germany through danger, I gave my year 9s the components of the source – child, tightrope, angel, flowers, snakes – and invited them to use their knowledge of this period to sketch what such a cartoon might look like. ‘Oh, well, the child is OBVIOUSLY Germany and the tightrope OBVIOUSLY represents the problems the country was facing in 1923 because of hyperinflation,’ scoffed my bottom set, as though this activity was too easy for words. 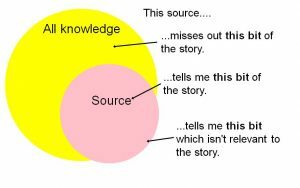 Having modelled to them that they could successfully use their contextual knowledge to predict a source, it was then not too much of a jump to get them to use it to deconstruct a source.